Shake the coconut rum, white rum, coconut cream, pineapple juice, and simple syrup with ice in a Cocktail Shaker. Pour in a Wine Glass. 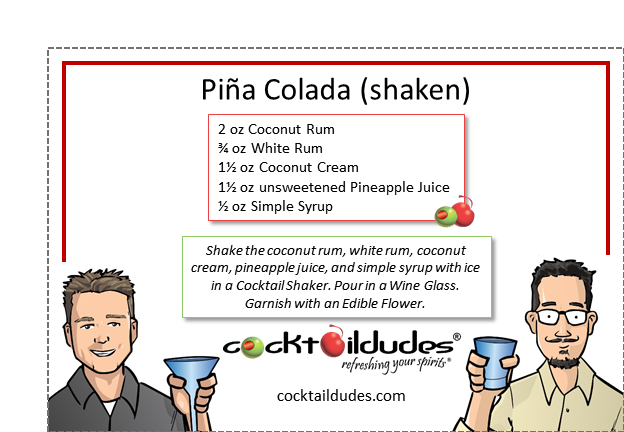 Yes, we like Piña Coladas! This is such a great drink that it has its own song. Nothing beats sitting on the beach and enjoying one (or two) of these sweet classics. Can’t get to the beach? No worries, do what we do and enjoy it in your back yard or on your sofa watching the Travel Channel. 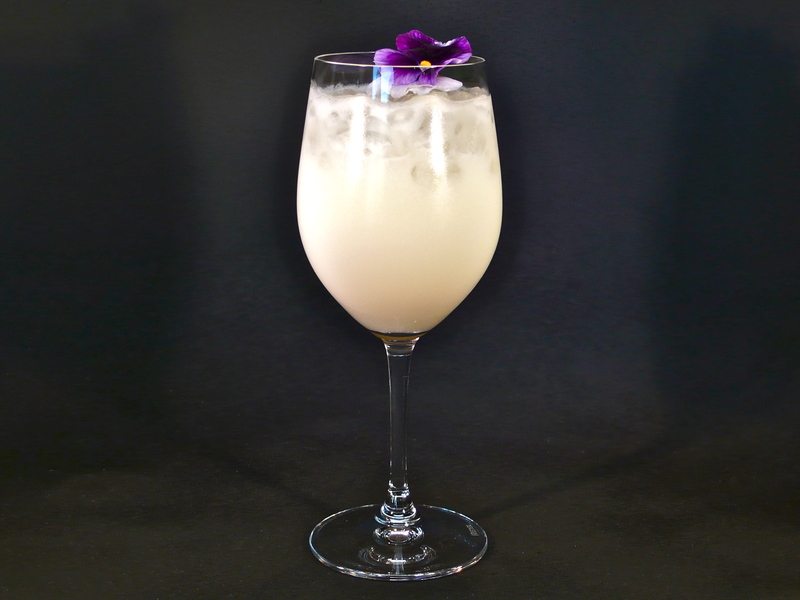 If you’re looking for a “cold headache,” checkout our blended version of this delicious cocktail. Cheers!